In last five years, wedding bands have returned to their ancient look to the traditional plain eternal circle. Did you know the ring bands exchanged in the past during Mughal era symbolized that the marriage will last for eternity? Now-a-days, popular wedding bands designs include either a small diamond engraved in the centre of the band or a number of diamonds set around the entire circumference. Stacked rings are ruling the jewellery industry. Thanks to its inclusion of various metals and colours, that now woman can wear three rings together on the same finger. These rings can be customized to such an extent that you can even leave a space to add an eternity ring in future. Cluster rings have been the all-time favourite of women. These days clusters are available in pink and white gold rings instead of a yellow gold rings. Moreover, these cluster rings are being designed with a combination of different colours of gold, and also incorporate diamonds, pearls and birth stones such as emerald, amethyst and sapphire. These rings are popular among the grooms as it features a checkered pattern on the crown. Coloured gemstones are slowly gaining popularity among the brides for their wedding collection. The brides to be are now looking for unique gemstones to adorn their rings other than the old diamonds. These rings are either available in traditional round shape with Pear or Oval cuts or with a modern twist made up of unique Emerald or Marquise cuts. Now-a-days, tweaked designs are in trend and braided and screw rings fall in the same category. Though a neat looking ring, screw rings feature three or five grooved screw heads engraved on the lateral surface of the ring. The best attribute of this ring is that it includes a small diamond on the outer surface of the ring just below each embedded screw head. Braided ring features a stylish braid-like pattern all across the surface of the ring band. It looks like a criss-crossing groove all across the ring. 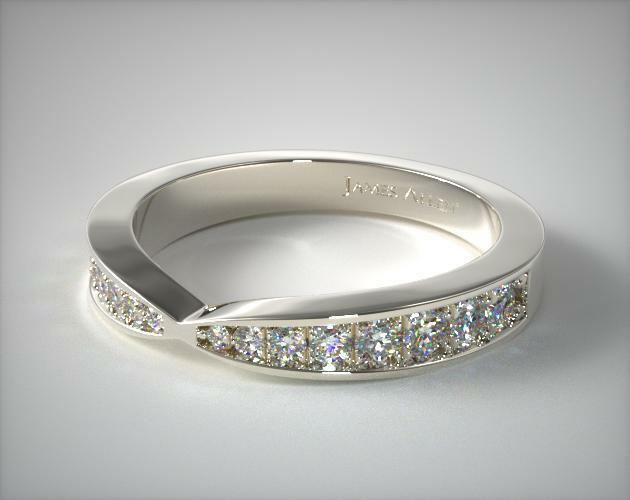 This ring also includes diamonds or coloured stones elegantly embedded between these grooves. The most popular garnet stone ring that accompanies an alluring red-pink colour. It features a large piece of rectangular shape rhodolite gem embedded in its own crown. This ring is usually made available in white metals – white gold and platinum.